There are plenty of statistics that point to the brilliance of the cloud. Its capability, its ability to generate revenue, its ubiquity and its agility. Morgan Stanley predicted that by 2018, Microsoft Cloud products will make up 30% of revenue. Amazon Web Services revealed that it had made $3.2 billion by the third quarter of 2016, and Gartner said that the worldwide public cloud services market will have seen 17% growth by the close of 2016. It really is all about the growth, but how can the business really make cloud services pay? "Every company is different, so their cloud strategy will differ," says Sven Blom, head of Sales, Teraco Data Environments. "It's important to establish what these needs are and if they are legitimate as opposed to just following cloud because everybody else is. The days of the one-size-fits-all approach are numbered, and choosing the right vendor is critical." Cloud has the potential to save the business money over both the long and the short term. In the short term, its ubiquity means that the business can select from a variety of service providers, opt in or out of new technologies and explore new efficiencies and services without the hefty price tags. As Blom points out, proof-of-concept interconnection within an ecosystem environment is far easier with cloud. 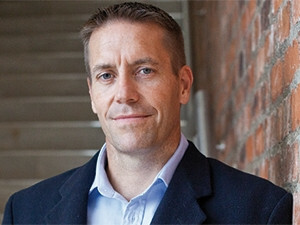 "Another short-term saving is time," says Leane Hannigan, Cloud Solutions director, Westcon-Comstor Southern Africa. "Cloud services make things easier to manage and this buys teams time to move onto tasks that drive innovation or transformation within the business." The thing is, these are the same old benefits touted over and over again. The business doesn't need to invest in infrastructure or support crew, it doesn't have to worry about upgrades and updates - cloud does it all for you. But are these services really necessary to ensure the success of the modern business? "When cloud services first came around, there was a lot of emphasis placed on the fact that they provided a cheaper option. This is now an accepted benefit of cloud, but there are several other considerations," says Bruce von Maltitz, co-founder, 1Stream. "Cloud gives you access to specialist skills when you need them and in countries like South Africa, where there is a skills shortage, this is a huge advantage." Good point. In a skill-crippled market, the availability of technology that will help the business leapfrog challenges is no small boon. Another point of value is how cloud helps the business get its solutions to market faster than in the past. Speed-to-market plays a big role in product success. In a recent study, titled `The Impacts of Speed-to-Market on New Product Success', authors from Oregon State University and Stevens Institute of Technology found that a time-based strategy is an essential 'weapon to achieving a competitive advantage in the current environment'. Gavin Meyer, executive director, Itec SA, adds: "Businesses are now able to provide their clients with quicker turnaround times and improved service delivery, setting their businesses apart from others. With the dynamic nature of today's business environment, those who do not invest certainly won't see the benefits." To make cloud pay, then, the business has to invest in the right infrastructure and have a clearly defined digital strategy. The trick is to establish what cloud services are the most likely to deliver value and, over the long term, cloud supports the organisation's growth and strategic development. "The first step is to adopt a cloud-first strategy," says Ermano Quartero, managing executive at Vodacom Business. "Secondly, map out a journey that defines at what stage, and which services, the business is moving into the cloud. The map needs to be a three-year timeline that will support their journey into the cloud - anything longer than that and they will be left behind." Kevin Hall, national sales manager, Elingo, adds: "Cloud services on their own will not give you the competitive edge; you still need a business proposition that the market finds reason to invest in." Cloud gives you access to specialist skills when you need them and in countries like South Africa, where there is a skills shortage, this is a huge advantage. That about sums it up. Cloud can provide agility, allow leverage over quality applications and make an offering that little bit shinier, but they aren't a magic potion. Sudden adoption of cloud isn't going to see a business achieve the heights of Amazon or Google, unless its proposition is as good as its investment. At the same time, a modicum of moderation is important when looking to choose the right solutions. "There are a lot of fly-by-night providers out there, so it's essential to check credentials and experience. Like any other purchase, investigate if other customers are happy with the service rendered before buying into it," adds Andre Deetlefs, executive: Lines of Business, Jasco Enterprise. "Cloud-based technology can be introduced in various instances within the organisation to optimise internal processes, create more efficient management and control, and better customer experiences over internet and mobile," says Elize Coetzee, chief marketing officer, Curve Group. "Cloud-based software and virtual hardware environments are often a lot cheaper or even free to a certain extent as opposed to traditional software and hardware services." Cloud services on their own will not give you the competitive edge. The nutshell is simple: cloud can pay for itself, but it won't if it isn't done well. It isn't a panacea, it's a tool. Don't skip the strategic steps and don't grab the first service provider to wander past. Know what value you expect and then go out and find out which cloud solutions will help you get it. And, perhaps most importantly, don't be the person who ignores it. "There are still pockets of resistance towards running an operational system in the cloud, and these tend to emanate from traditional IT administrators or departments, which sometimes view the cloud as a potential threat. The reality is cloud services have long since proven capable of delivering a reliable and sustainable business option; they add value, and the fact is they need to be embraced as they are here to stay," concludes Steve Mallaby, CEO of Cquential Solutions. This article was first published in the March 2017 edition of ITWeb Brainstorm magazine. To read more, go to the Brainstorm website.